When dust and allergens are circling your home, it may be time for an HVAC cleaning from SERVPRO. Sometimes HVACs can keep unwanted odors, dust, and other debris spreading into your home. 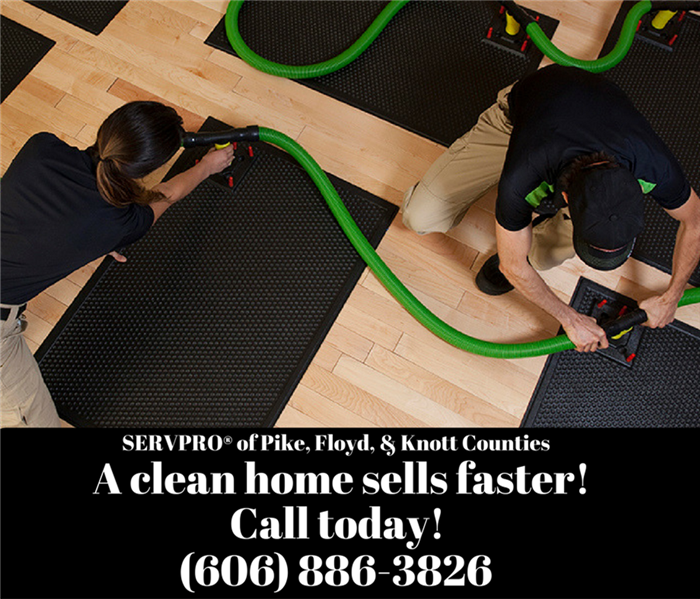 SERVPRO® of Pike, Floyd & Knott Counties can make those HVAC issues "Like it never even happened." We have chemicals, equipment, and other disinfectants (that are optional) to make your HVAC cleaning to the highest of standards. Keeping your HVAC cleaned, keeps your entire home cleaned, and it even improves the longevity of your HVAC unit. It's a crucial step in keeping unwanted particles out of your home. For more information on HVAC and air duct cleaning, call us today, (606) 886-3826.